Rents in the Treasure Valley area are steadily increasing upwards this year and are predicted to continue their climb as the shortage of available units becomes apparent. What does that mean for you? Now is a great time to buy. 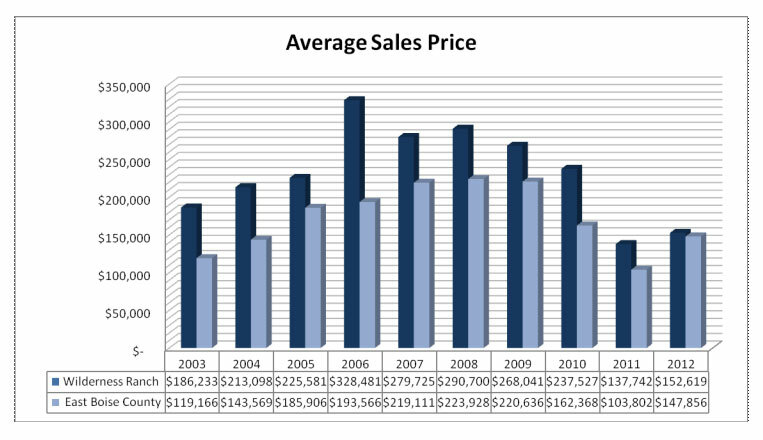 Interest rates are still low and there are a lot of Boise area homes available to choose from in varied price ranges. Read the latest real estate news trends and forecasts for the Boise Idaho area and national news. As always, please call or write if you have any questions. Jingle Mail? What is it and is it your best bet? Over these last few years of our housing collapse, while working as an Idaho real estate agent in this current economy, I have been approached by a number of people whom desire my opinion. They have a mortgage, good employment but fret over how upside down they are on their homes value. Are you upside down or underwater on your home or property? There has been a new wave of people simply dropping the keys in the mail and walking away from their homes and defaulting, although capable of fulfilling their obligations. Hence the coin ‘jingle mail’. I am not addressing those that are in a distressed situation where payment is impossible and whom may try to short sale but those that would not qualify for a short sale because of sound income, savings and employment. Now there are the moral obligations to consider, but along with it seems to come a million excuses to get around them. But lets look forward time-wise and calculate the costs. These are some of the things I have seen and heard occur to people. When you default you will destroy your credit, and I am not talking about a 1 year set back on your credit score, but perhaps seven to ten years before you can get another mortgage. You may find that some of your existing creditors such as your credit card provider may send you a nice ‘Dear John’ letter cutting your credit or cancelling it all together. Now I am not a big proponent of credit, but it would be pretty inconvenient today to try to rent a car, reserve a hotel room and a myriad of other things without one. So you moved on, your renting a new place for cheap, or maybe you bought that second home first prior to defaulting. Maybe it was a great bargain, got it on auction or it was a foreclosure sale, like the one someone will get when they buy yours. Life sounds peachy now, maybe it goes something like this; ‘were putting extra money away, even taking an extra vacation. I can expect my values to increase and get a realistic return profit someday, Wow I am making money as I sleep’. Sounds good in theory but while your sleeping soundly with your head on that pillow, dreaming about how you beat the system, there is someone somewhere going over files determining whom and in what order they intend to pursue for judgement. Maybe it will be the bank, worse yet probably one of them cut throat folks that buy defaulted loans and hence the rights to sue you for a judgement. I think the owner of every one of them has someone named Vinny on the payroll. When you receive that letter the party is over. I have seen judgement’s come against people, seen huge payroll garnishments, excessive legal fees, etc…. So now what? Probably decide that bankruptcy is a good choice. While it does exist to assist people to start over it also comes with its own draw backs and expenditures. All said and done, keep in mind that the financial gain you seem to make at the start is short sighted, it can and will probably costs you more over the next ten years of your life both financially and emotionally. Does it seem fair? I would have to say yes and no. We all make decisions everyday, hopefully for the better but it doesn’t always turn out how we hoped. But that doesn’t excuse us of the responsibility of those decisions. Lord knows I made a few over the years that were maybe good ideas but bad timing, or just a bad idea all together. Life happens, we move forward. If your loosing sleep on how much value you lost in your home then you need to refocus. Keep your savings plan, retirement plan, if possible make an extra payment per year or two. If you pay a little extra per month that in the end of the year equals to or greater than your monthly payment, you would be shocked at how many years that will knock off your mortgage. For example, a thousand dollars off your principle now, over 30 years can save you over three thousand dollars. When you closed on your home, remember that spreadsheet they showed you for amortization? Its what I call, ‘the truth and scary’ report. The one that shows you what you will end up paying at the end of the term for your home after interest. You can beat that system by paying principle early. If you do this over the next five years not only will you have reduced your mortgage considerably, but eventually we hope the market will catch back up and you can meet it in the middle. Either way, I think over ten years (the time it will take to re-establish your name and credit) you will come out far stronger and better situated then taking the quick gain. I wish all of you success in your worthy endeavors. Please click here to view the SEPTEMBER – 2010 Newsletter Housing Trends eNewsletter. 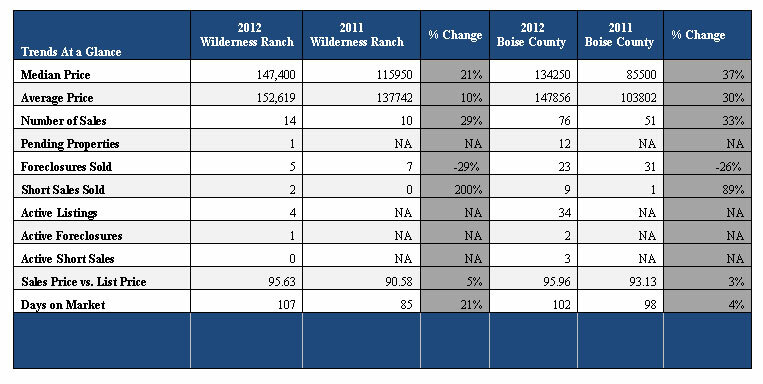 Idaho Real Estate and Home sales.